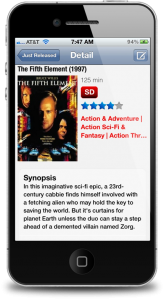 Earlier this week, the Apple App Review team approved IWGuide for Netflix version 1.3. As announced, this new release is now a universal application. You can now use IWGuide for Netflix on all your iOS devices whereas prior it was only available on iPad. 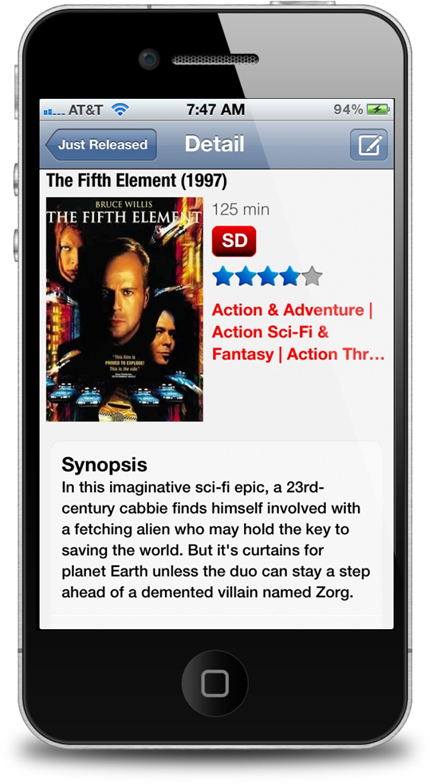 In addition to iOS as a universal application, IWGuide for Netflix has been released for Android devices a few weeks ago. Here are a few screenshots of IWGuide for Netflix running on iPhone. IWGuide for Netflix is a free application available on the AppStore.